First Look at Beauty and the Beast. . HD Wallpaper and background images in the Beauty and the Beast (2017) club tagged: photo disney beauty and the beast emma watson dan stevens first look. 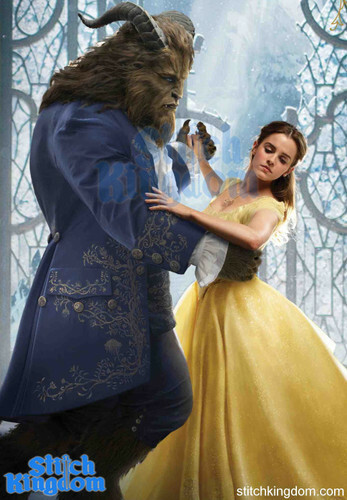 This Beauty and the Beast (2017) photo contains kirtle, polonaise, chakula cha jioni mavazi, chakula cha jioni kanzu, rasmi, jioni kanzu, mavazi ya chakula cha jioni, and kanzu jioni. There might also be mantilla, kanzu, joho, gown, robe, mantelet, and mantilla.